Hermès watch from the Medor Mini Collection. 16mm pyramid stainless steel case and hardware. 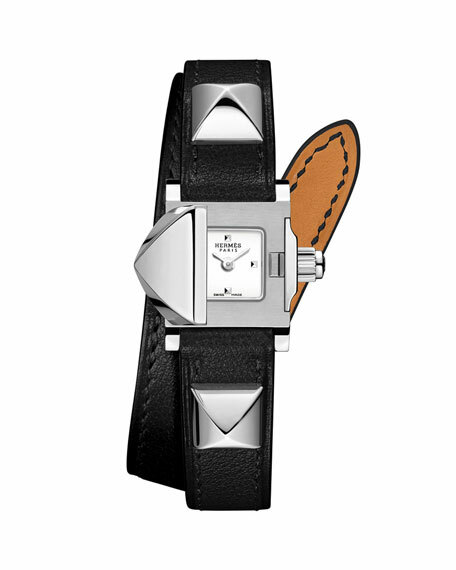 Black calf leather strap with thorn buckle clasp. Pyramid studs with case opening to white dial. For in-store inquiries, use sku #1968689.